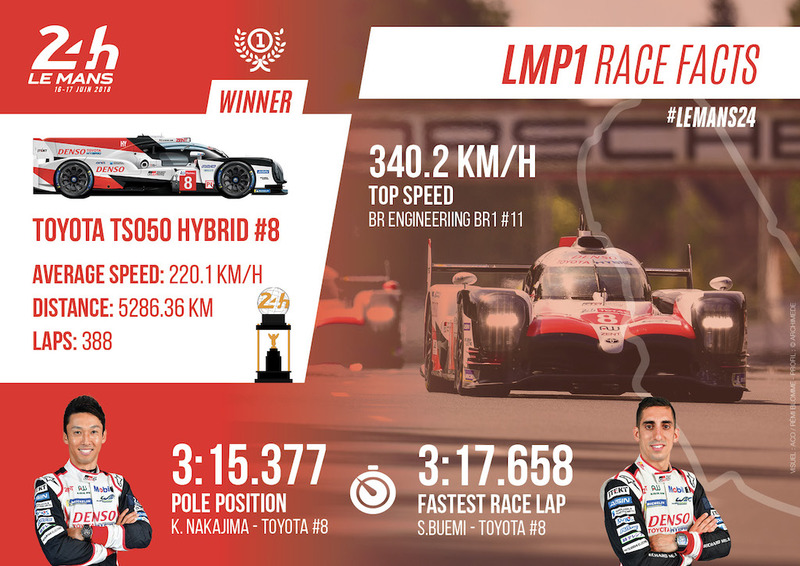 The 86th running of the 24 Hours of Le Mans held 16-17 June 2018 proved emotional and particularly celebratory with the long-awaited win for Toyota in its 20th attempt and Porsche's victory in GT for its 70 anniversary. 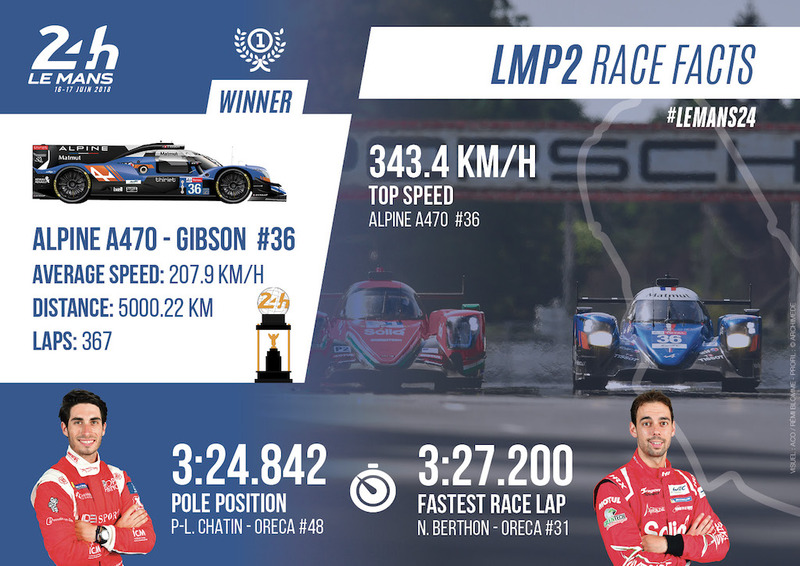 Toyota silenced critics by not only finally claiming the top step on the overall podium after all these years, but by pulling off a one-two for the TS050 Hybrid, including the win for two-time F1 world champion Fernando Alonso in his debut. 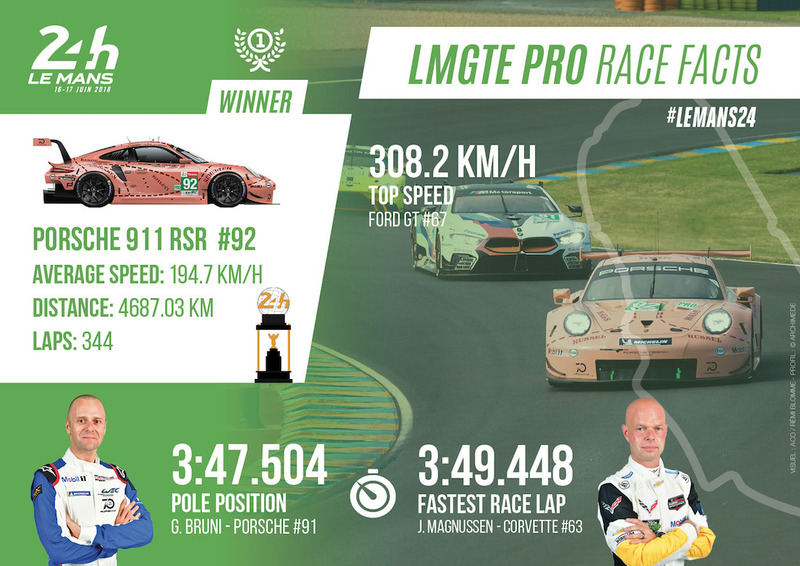 Porsche celebrated its 70th anniversary in no uncertain terms thanks to the "Pink Pig" 911, though the driver line-up Christensen-Estre-Vanthoor did benefit from the intervention of the safety car. 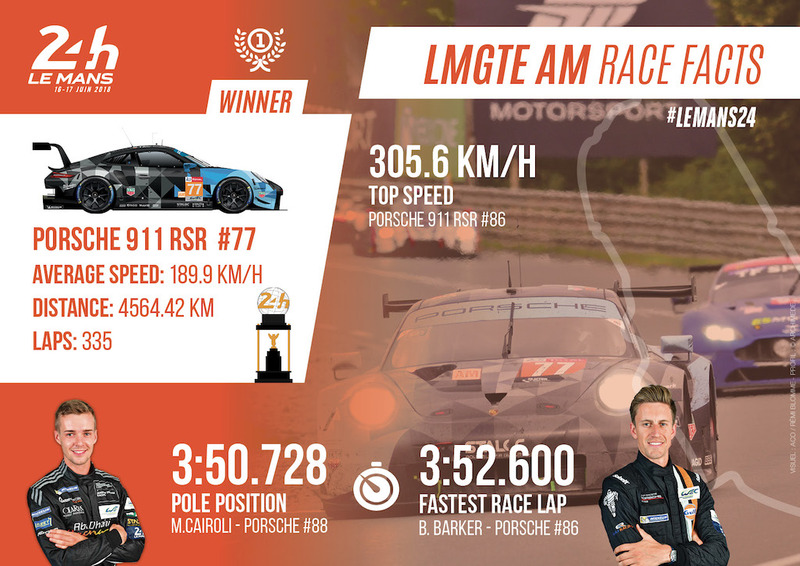 Relive the 2018 24 Hours of Le Mans via this infographic showing those fastest don't necessarily triumph!